TP Trailers & Truck Equipment offers a wide variety of shipping containers for sale and rent to our customers throughout Pennsylvania, New Jersey, Maryland, and Delaware. 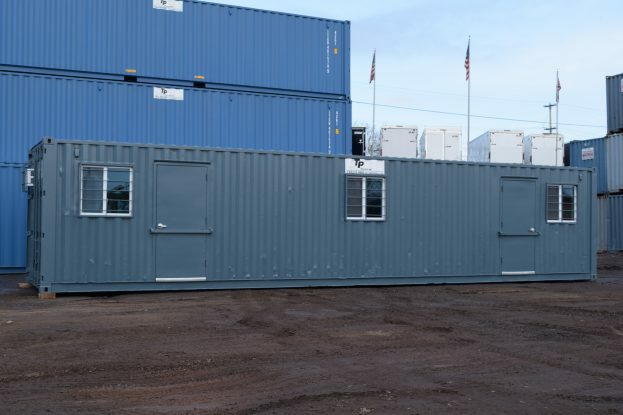 Our new and used shipping containers provide crucial on-site storage for a variety of industries including construction, landscaping, retail, and more. 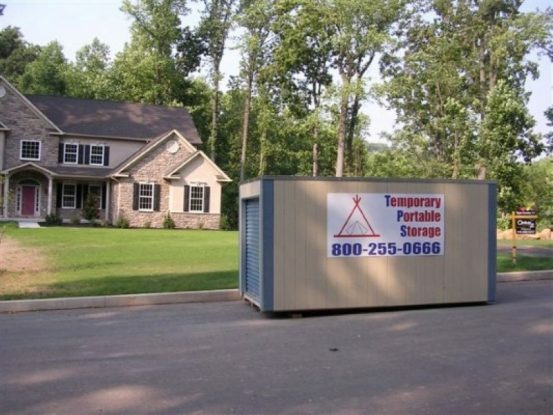 We provide high-quality new and used units that are guaranteed to be secure and weather-tight. A wide variety of industries and businesses make use of portable storage containers to maximize efficiency. These heavy-duty steel storage units provide locked security and protection from the elements. A diverse group of professionals – from construction site supervisors to retail store managers – trust portable storage units from TP Trailers. On construction sites, shipping containers most often store materials that will be needed later on in the construction process. While this can include almost anything, we often see our on-site containers being used to store electrical equipment, HVAC units, and plumbing piping and fixtures. Landscapers often buy or rent shipping containers to protect their heavy equipment when not in use. That equipment often includes lawnmowers, snow removal equipment, and other expensive seasonal machinery. Renting storage containers allows contractors to keep their equipment 100% protected without having to rent or buy expensive garage space. Buying or renting a shipping container can allow small outfits to cut costs and stay profitable. Retail stores most often rent shipping containers to protect merchandise that isn’t ready to be stocked on shelves but needs to be on-site at the store. Since most retail merchandise would be damaged if left exposed to the elements, the watertight qualities of these portable storage containers is crucial. At TP Trailers & Truck Equipment, we’ve earned a reputation in the storage industry. We’re known for providing dependable, high-quality storage units at competitive prices. While some online storage unit companies offer bottom of the barrel prices, their quality can’t be trusted like ours. 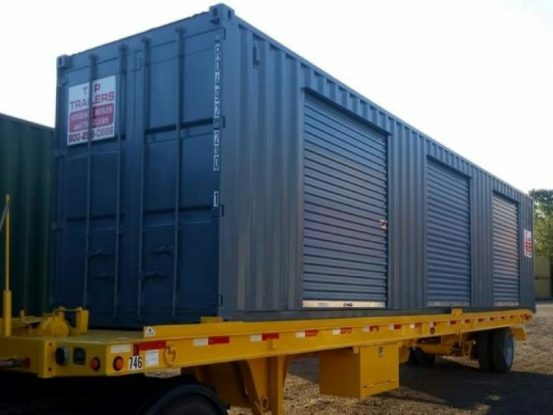 When you rent or buy a used shipping container from TP Trailers, you can guarantee that it will be watertight and free from common forms of damage such as leaky gaskets or pinhole damage in the roof. In addition, our storage containers have easy to operate doors and non-rotted floors, two more traits associated with the bottom of the barrel storage units. Take your storage seriously, and get the protection you can count on. Saving money on a rusted-out storage unit that you can’t use isn’t much of a bargain at all. Learn how to inspect a used shipping container. Another reason that TP Trailers & Truck Equipment is such a trusted name when people are looking for shipping containers for sale or rent is that our service stands out as much as our fleet of equipment. In addition to our exemplary equipment, we also include storage container delivery in your price – another way to help you save. Whether you want to buy or rent a shipping container from us, we make your needs and your deadlines a priority. In fact, we can make next day delivery a reality for most of our clients. Contact us for your free shipping container quote — and to start your relationship with TP Trailers today.